It turns out that middle-ranking executives and even some corporate board members have feelings. Who knew? The directorial debut of ‘ER’ creator John Wells proceeds as if it has discovered a new continent or something, but even if the material’s not exactly news, fine performances and a keen eye for character detail mean there’s much to appreciate. 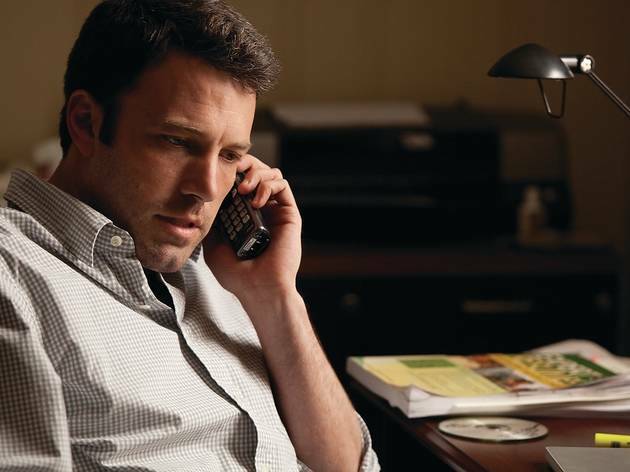 Ben Affleck is well cast as the cocksure sales director who loses his $160,000 salary when a shipping and logistics giant downsizes to boost its share prices. Clearly, he needs his sense of entitlement cut down to size, especially when he pooh-poohs an offer from his builder brother-in-law Kevin Costner of work on site to tide him over. Higher up the food chain, long-standing company man Chris Cooper is in denial as the axe starts to hover, while founding partner Tommy Lee Jones proves almost unaccountably shocked by the speed with which his buddy, CEO Craig T Nelson, jettisons loyal workers to protect his own stock options. So, greed has displaced loyalty, and number-crunching and techno-babble now reign in a land where manufacturers once took pride in building things. The camera glides through an abandoned shipyard with palpable longing for the old days – a cliché certainly, but invested with sincerity here. While the aforementioned star names provide a good deal more nuance and humanity than the sometimes clunky script, it’s that sense of place which impresses here. The tacky faux-heritage houses packed with overpriced gewgaws and soulless decors of corporateland suggest careers spent working towards ultimately vapid lives. Setting up Costner’s salt-of-the-earth type in telling contrast is way too schematic, but Kev’s deliciously grumpy, underplayed turn helps the movie just about get away with it. Actually thought Affleck's wooden acting style was quite suited to his character's fish out of water predicament,: someone in complete denial and unable to deal with it, until it opens his eyes up to the fact life is more than just Porsches, golf club membership and mortgages. A very well acted and well constructed film whose focus on the effect of the recession on well-off US executives is unlikely to gain it the audience it deserves. How to sympathse with men who extend themselves to live in suburban mansions that would cost several million pounds in London? Although not explicitly stated it is clear that all these company men are victims of the work-achievement-spend and credit society that they take for granted is the only admirable way to live. Even the 'villainous' CEO who ends up wth stock worth $600 million and no friends can be seen as a victim. This is a tale of the late noughties, the stock market crash, the wider consequences of corporate greed, and keeping up personal and corporate appearances. The casting is excellent (Bello, Lee-Jones, and Cooper in particular), with the exception of Ben Affleck who for the most part is good, but in two places could have easily been switched with a cardboard cut out for a more realistic performance. 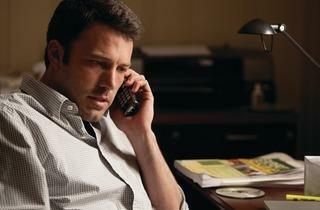 That said, the story revolves around Affleck's character, and family, and the whole thing gels very well. Unfortunately, the ending's cheesey - especially Affleck's little speech - this scene could have been written/performed in a number of other ways, with a much better result. In an age of cutbacks, this story will send a shiver down the spine of many who watch it. Including me, there was an audience of six (no one left, "Scrumpyjack"). Is it because of the bad film title, or because of Affleck that few seem to have seen this film and I'm the first to leave a comment? Like I say, it's good, and as choked as I am to say it about an Affleck movie, it genuinely warrants three stars because of the performances by the rest of the cast.